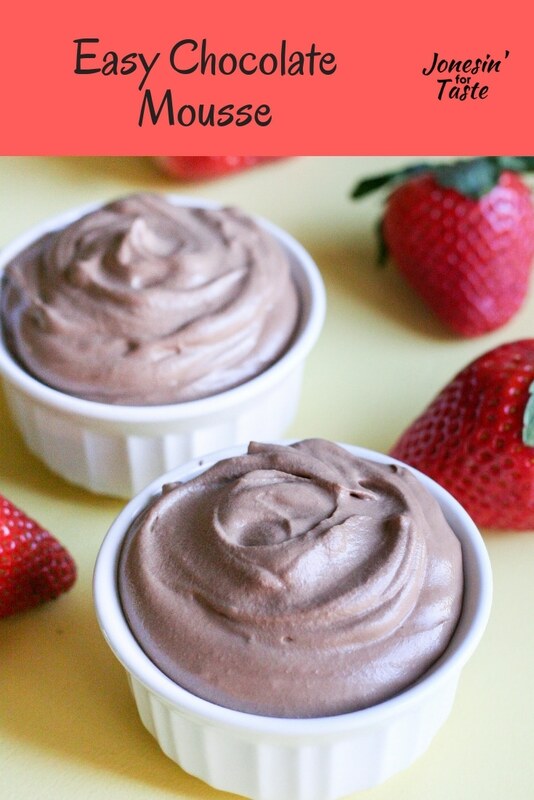 Chocolate mousse is an incredible French classic that is delightful on its own, pairs wonderfully with fruits, and can be used in so many other desserts! 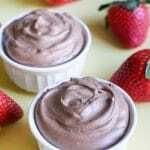 There are lots of various methods out there to make mousse. Some recipes call for whipped egg whites instead of whipping cream and although it’s not a big deal usually since I’m currently pregnant I decided to forgo that method. Honestly, I think this method is simple and quick and results in something absolutely incredible! 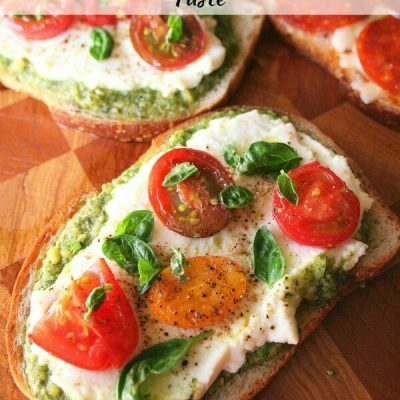 It is incredibly easy to make in 30 minutes and ready to eat in an hour. Of course if you are like me and my kiddos, you might not be willing to wait for that chill time and you’ll eat it right away. I won’t try to stop you because it was absolutely heavenly even without waiting! If you manage to have leftovers, they keep wonderfully when covered in the fridge for up to 3 days. 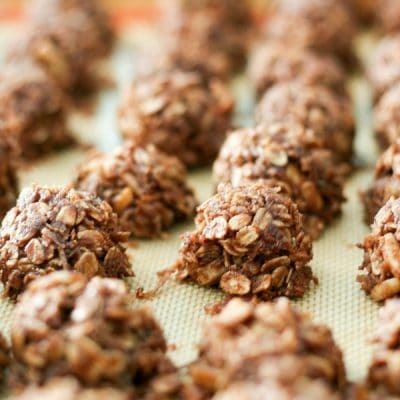 It is amazing how a few ingredients can make something that tastes so amazing. My kids were watching me make it and kept asking if they were going to get to have some. Sometimes being the child of a blogger can be really test in patience. But their reward was getting to eat it as an after school snack, so it’s not that bad. In a medium saucepan, whisk the egg yolks, sugar, vanilla, and 1 cup of the heavy cream. Heat the mixture over medium-low for about 5 minutes until mixture is hot and coats the back of a spoon. IMPORTANT: Do not boil the mixture because the eggs will scramble and the cream will curdle! Pour the hot cream mixture over the chopped chocolate. Continue stirring the mixture until the chocolate is completely melted and the mixture is smooth. Chill until cool. With a hand mixer or stand mixer, beat the remaining 1 1/2 cups heavy cream on medium high speed until stiff beaks form. 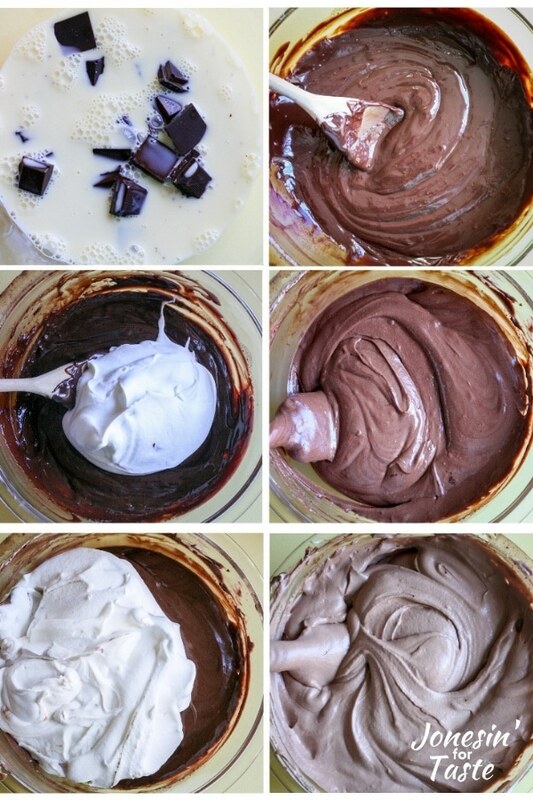 Fold 1/3 of the whipped cream into the chocolate mixture with a rubber spatula or metal spoon. Once the whipped cream is well incorporated, fold the remaining 2/3 of the whipped cream into the mixture. Scoop the chocolate mousse into serving dishes, cover, and chill for at least 30 minutes. 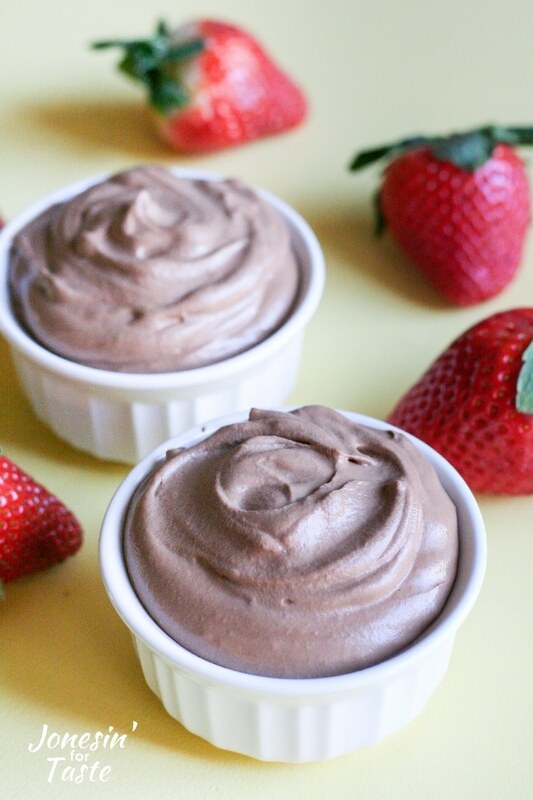 Serve mousse at room temperature. 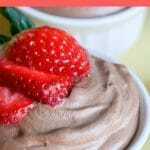 Although you could totally serve chocolate mousse all on it’s own, it is delightful topped with whipped cream or sliced strawberries or raspberries. Next time I want to try topping the mousse with homemade strawberry sauce! You could also use the mousse for French Silk Brownies or in an Oreo Trifle in place of the pudding. You can use either bittersweet or semi sweet chocolate. 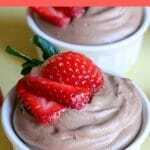 Use a good quality chocolate for this mousse. Look for chocolate that is at least 35% cocoa solids. I used 55% cocoa solids semi-sweet chocolate. If the cream is not hot enough to completely melt the chocolate, you can return the entire mixture to the saucepan and heat over medium low heat until the chocolate has melted. Pour the chocolate mixture back into the bowl to cool. Do NOT over beat the whipped cream past stiff beaks, otherwise you will get butter. Use a spatula or a metal spoon to gently fold in the whipped cream instead of using a wooden spoon. The thinner edges of the spatula will help the mixture incorporate better without destroying all the airiness. 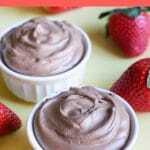 Chocolate mousse is a French classic that is delightfully light, melt in the mouth delicious, and deceptively easy to make for a show stopping easy dessert. In a medium sized saucepan, whisk egg yolks, sugar, vanilla, and 1 cup of heavy cream. Heat over medium-low to medium heat for about 5 minutes until mixture is hot and coats the back of a spoon. Do not boil! With a hand mixer or stand mixer, beat on medium high speed the remaining 1 1/2 cups heavy cream until stiff beaks form. Fold 1/3 of the whipped cream into the chocolate mixture with a rubber spatula. Once the whipped cream is well incorporated, fold the remaining 2/3 of the whipped cream into the mixture. 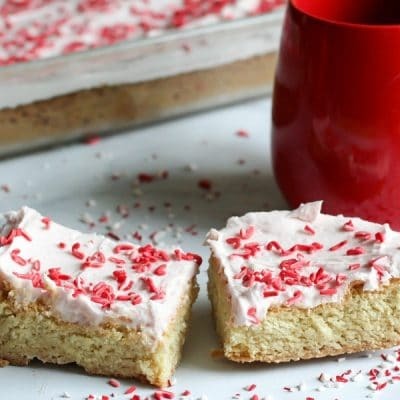 This recipe originally appeared on Bakerish. This sounds so yummy..of course, it’s chocolate and all! 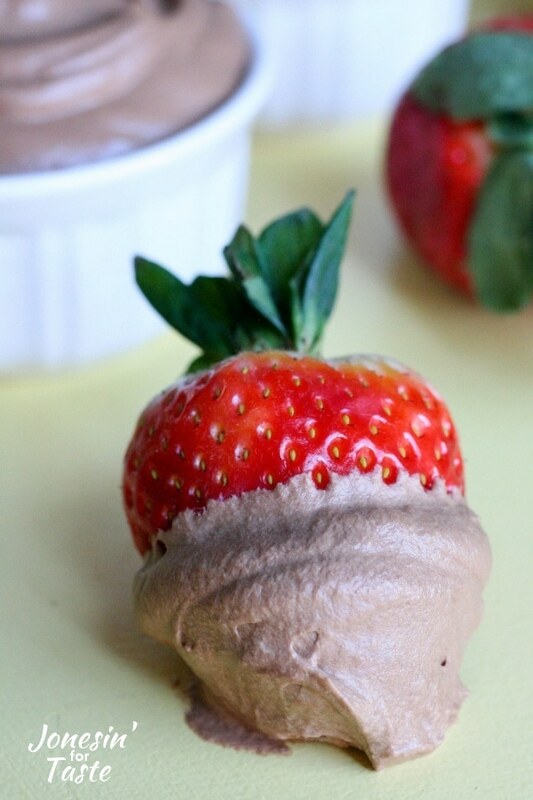 Chocolate mousse as fruit dip? That’s my kind of dip! And I don’t think I will have leftovers. Oh I just love chocolate mousse! Never really thought about making it from scratch before. Who knew it was this easy. 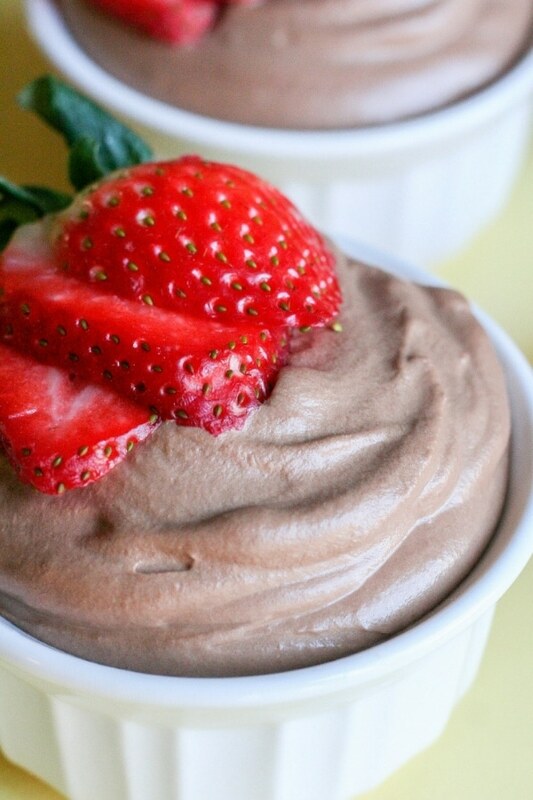 So light and fluffy and hello chocolate mousse is my favorite! 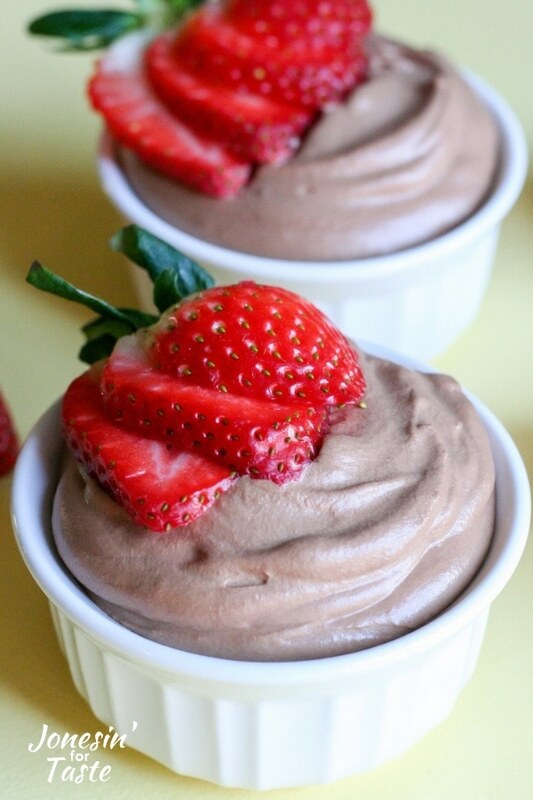 Mousse is a nice dessert dip, but my favorite way to serve is right in a bowl! Lucky kiddos to get this as a snack!